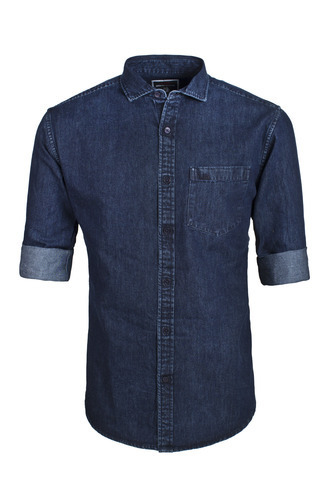 With the help of talented professionals and exceptional technology, we are offering our clients a variety of Plain Denim Shirt. "Redford fashions" found its roots in the year "2010" at Chennai, India. The company is basically into garments manufacturing. We offered a wide range of Fashionable Men's Garments. The Brand Xephyr and Urban design aims to satisfy customers whose tastes have moved beyond off the rack mentality and who want to make a fashion statement reflecting their own distinct persona. The brand has something unique, reflected in everything associated with the product, be it the fabric, styling, tags, store design or even the advertising. We manufacture the entire product range in compliance with international quality standards using superior grade material. Our professionals are capable of developing the garments as per latest trends and fashion demands. Moreover, our Agriculture & Food Products are hygienically processed and known for their rich nutrient value & purity. The entire product range is stringently tested on well defined quality parameters.